Bonita Beach is located closer to Bonita Springs than Naples, Florida. But with just a few miles separating it from the larger metropolitan area, it is one of the most desirable beachfront communities for professionals, families and retirees looking for a higher quality of living. 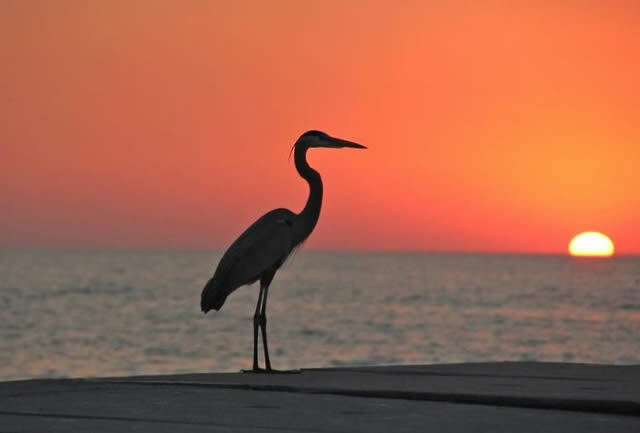 Located on a slender strip of land known as Little Hickory Island, which separates Estero Bay from the Gulf coast, Bonita Beach offers some of the most striking views of both the Gulf Of Mexico and the lush nature preserve to the east. But with a wide selection of both single family estate homes and condominium communities to choose from, the development has something for everyone. Single properties are available in a wide range of architectural styles and sizes, from Old Florida-style cottages of just 900 sq ft to luxurious beachfront estate homes of 6,000 sq ft. Homes located on the east side of Hickory Boulevard – on Bay Road, Forrester Drive, King’s Kew and McLaughlin Boulevard – offer private docks on Fish Trap Bay and Ester Bay with boat owners gaining easy access to the Gulf of Mexico at the northern tip of the island. Most of the Bonita Beach luxury condominium communities are found at the northern end of the island, the narrowest stretch that offers the finest views. Amongst the most popular beachfront condos are Bonita Beach House, Bonita Beach Club, Bonita Beach Plantation House and Silver Sands of Bonita Beach, while the Beach and Tennis Club is positioned at the southern end of the island. Condos range in size from just 750 sq ft up to over 1,600 sq ft. The community provides a wealth of amenities to residents also, not least amongst them boating, swimming, and fishing. Most people like to stroll along the pristine white sands of the beach itself, with seven individual access points leading from Hickory Boulevard. But there are also green areas at Bonita Beach Park, Bonita Bay Beach Park, and Little Hickory Island Beach Park open to families while a little further north are Pelican Landing Beach Park (on Big Hickory Island) and Lovers Key State Recreation Area. Bonita Beach is also only a few miles from world-class shopping, dining, and cultural attractions in Bonita Springs, and 20 miles from the centers of Naples (south) and Fort Myers (north).